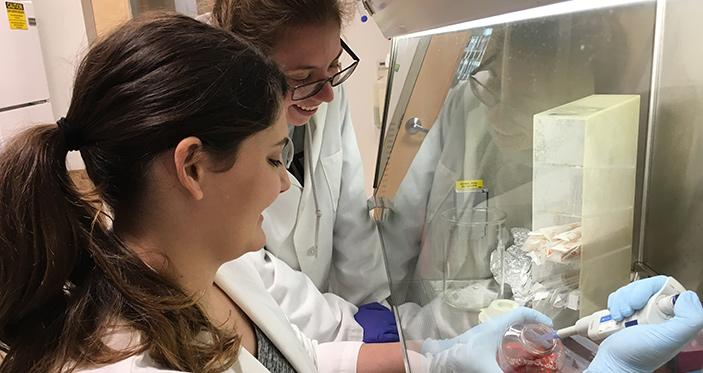 High school students (over age 16) and undergraduate students with Native American ancestry can participate in community-based cancer research projects and/or laboratories at the Fred & Pamela Buffett Cancer Center. Experiences include summer research projects and for students located in the Omaha metropolitan area, part-time projects during the school year. Research experiences can be tailored to students’ interests. Students may receive payment for their participation. Financial support may be available to undergraduates for housing, food and travel to Omaha during the summer.